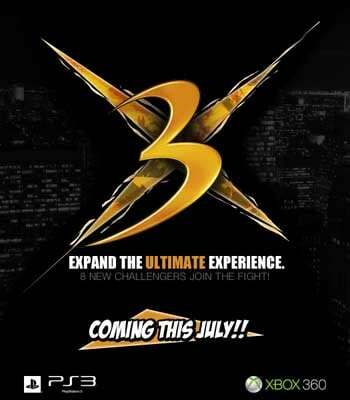 Ultimate Marvel Vs. Capcom 3X Revealed? Capcom might be re-releasing their cross-over fighting game Ultimate Marvel Vs. Capcom 3. This special "3X" edition of the game will be arriving in stores this July, according to information from GameStop. "Expand the ultimate experience. 8 new challengers join the fight!" says the flyer that was posted NeoGAF forums. Ultimate Marvel Vs. Capcom 3X is said to be arriving in stores on July 24th. It's priced at $39.99. If you already own UMvC3, you'll be able to download the new content included in 3X on July 3rd. You'll have to fork over $14.99 for the content. Ultimate Marvel Vs. Capcom 3 was itself an updated version of Marvel Vs. Capcom 3 so 3X would be a re-re-release. This isn't unexplored territory for Capcom, though. Street Fighter IV, for example, was re-released as Super Street Fighter IV and Super Street Fighter IV: Arcade Edition. If this 3X Edition ends up being real, Capcom will no doubt be accused of "milking" the franchise. Still, it's probably not a bad business move. The Avengers film will be coming out this summer as well so there's going to be a renewed interest in Marvel characters. Many of the characters in Avengers are also playable inMvC3, so 3X could almost be considered a tie-in for the film. Update: Hope you didn't get your hopes up. Capcom's Christian Svensson shot down the rumor on the company's forums: "Just got back from GDC so I'll make this short: that is completely fake."